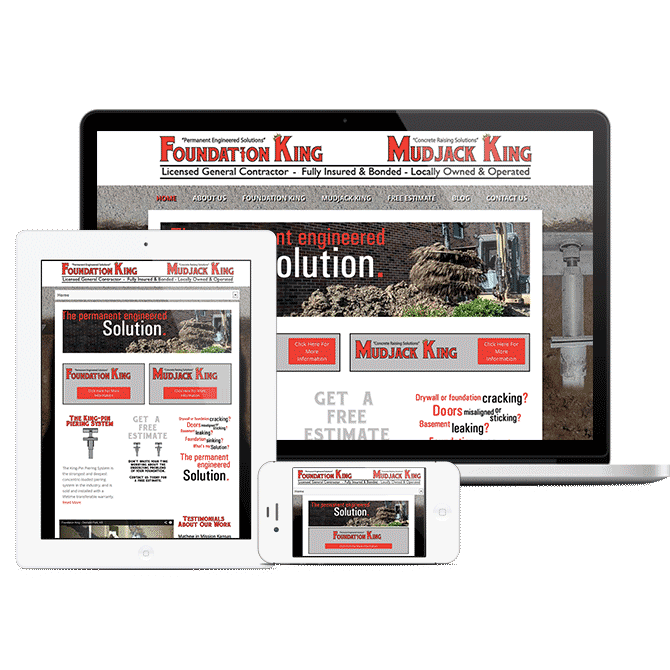 Foundation King is a foundation repair specialist located in Overland Park, Oklahoma City & Springfield. They wanted to undertake a new website development project that would use a responsive design, so that it was optimized for mobile devices as well as computers. Having worked with them in the past on their prior website, I had a good idea of the direction they wanted to go in as far as design cues and the content to use. We began the web development process with a brainstorming session to discuss new ideas that might make the design stand apart from the other Overland Park foundation companies. A consensus was reached that using their piering product as the background and having it hold up the navigation menu would be the touch to do that. With the piers creating the overall feel for the website, I created elements to use inside the pages and posts that showcased their content. Once the initial design was developed, I began to rework the design to be responsive based upon the users device or screen resolution. The responsive website development shifts and shows the content in a way optimized for the device, allowing users to read and consume content instead of pinch and zoom and search for it.